In other words, the University has paid specific attention to detail when designing new buildings and renovating old buildings to ensure that they uniformly match the general architectural style of the buildings within the vicinity. However, connectivity not only relates to the physical attraction of buildings, but to how they are made accessible to the student body. In designing and constructing the two townhouses the University was determined to create living spaces that are handicap accessible. The two locations have several features that aid the visual and hearing impaired and those with other disabilities. Some include larger bathrooms to accommodate wheelchairs, wider doorways, sophisticated doorbells, and a perfect location for easy access to central campus. In addition, built alongside the Georgia Avenue townhouse is a new lodge that serves as a rentable meeting place for organizations on campus to host social events and gatherings. When applying to live in themed housing, students have the option to choose from a variety of formerly established theme houses as well as several new houses including the Business House, Craft House, Political Activism House, Farm House, Culture and Literature Community, and the SPOT House (Students Positively Organized Together). 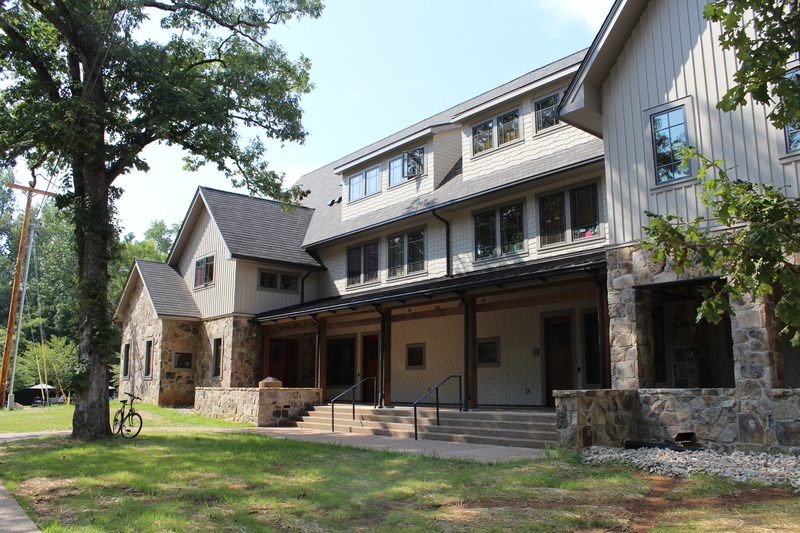 Members of the Sewanee community are encouraged to visit the various houses as Austin Ondrusek (C’17), member of the Music House, mentioned, “We want to make the house more accessible to the public so we have some big ideas and plans for upcoming events.” Theme housing at Sewanee serves an important function within the Sewanee community. “[They] help students transition from living in a dorm to living in an apartment, which they will most likely live in for part of their adult life,” said Swallow. The University happily welcomes the latest additions to the domain and looks forward to the new phase of changes and renewal that is yet to come.